As a first time school mum this year, it has been a new challenge coming up with new ideas for lunch boxes for kindergarten each week. Lucky for me, we only have 2 days a week of kindy though! Not too much inspiration needed just yet, but it has been great practice for the real thing next year when our eldest starts prep. She is fussy at best, like so many 4 to 5 year olds, which has meant lunch boxes have not had a huge amount of variety as yet. But we did come up with a recent winner! One so good she asked if she could have it every kindy day! A friend recently shared the brilliant idea of using mini taco boats to make pies. No need to worry about pastry or having a special pie maker. 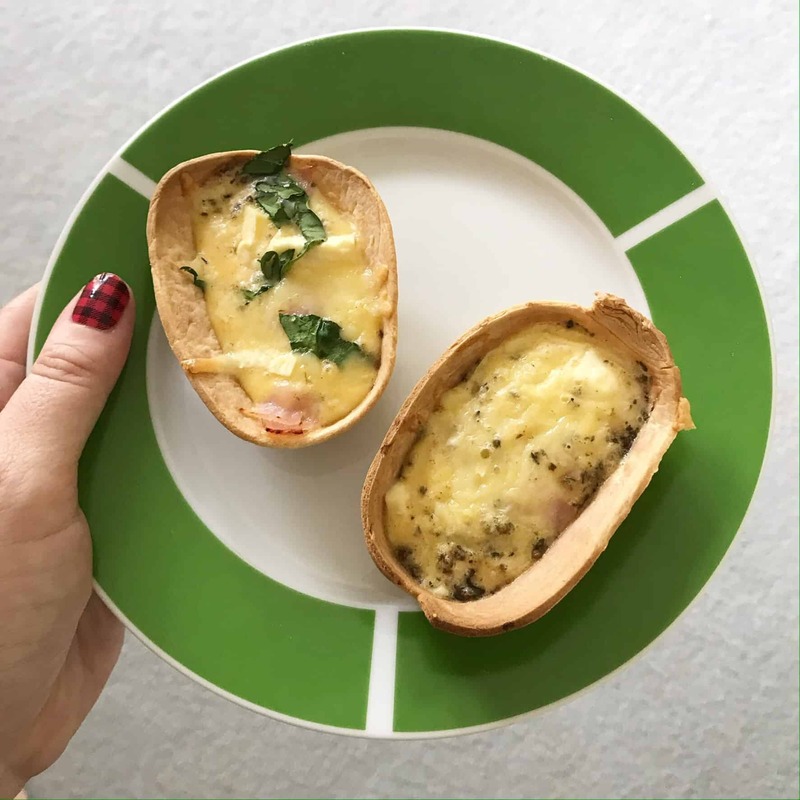 So knowing that one thing my kids love is egg, why not make mini lunchbox quiches with their favourite fillings! Line up taco boats on an oven tray. Mix eggs and any seasoning you wish to add in a medium bowl. Pour egg mix evenly between taco boats. Bake for around 15-17 minutes or until firm. These get eaten up completely on the days they go in the lunchbox or even for lunch at home compared to sandwiches and wraps. She can’t get enough of them plus you get to fill them with all the things you know your kids love too which is always a winning combo!